Above interesting graphic from here. Knowledge is the most important resource of a firm. The insights, experiences and information - are all resources that help add value, make business processes efficient and enhance outcomes. Let us say, a MR joins a firm, does excellent work, his field work in terms of samples provided, no. of doctors and chemists met, is regularly received from him in form of reports, and is being monitored. However, one fine day, to meet his other ambitions, if the MR leaves the job, out goes with him all that territory knowledge, insights and experiences!! Imagine, another scenario, where the knowledge bank of the MR, is stored in the IT infrastructure of the firm, ie., the database of the firm. If this data is used to provide tips either through e-mail or sms to the newly recruited MR, the territory will become productive faster. Eg 1. of a sms to this new MR can be: "17.7.2011 is the birthdate of Dr. Sharma OBG specialist, meet him with a bouquet and detail the target products". Eg 2. of another sms to this new MR: "Monday is an excellent day for field work in Kanakapura ex station, meet Dr. G Gowda Paediatrician and promote Product X". to the recipients, and potential beneficiaries in a proactive manner. One can also visualize KMS as an extension of the ERP (Enterprise Resource Planning) modules of an organization. Imagine a remotely located, highly productive field manager and his team. This closely knit team is no doubt a great asset of the organization. However, let us assume, the manager and his team leave the organization to start their organization or set up their firm. Such an event is legitimate and perfectly alright. However, the mother organization is a loser, since the parent firm loses not only good human resources - their contacts, knowledge, insights and working patterns are all lost. One has to reinvent the wheel with a new team! This sort of a situation creates organizational weakness and erosion of organizational confidence. People may come and go, yet the show has to go on! Such a scenario is possible only when various systems including KMS is very strong, and so are database marketing approaches. KMS and database marketing help insulate organizations from uncertainties and ensure seamless working. The CKOs manage and maximize the intangible assets of their organizations, they are acknowledged masters of understanding the importance of knowledge to potential beneficiaries, and ensure that this useful knowledge is provided to the potential beneficiaries. CKOs create the cutting edge for a firm, in a competitive world. CKOs not only manage field knowledge, they manage the firm's total knowledge. Facilitating connections, coordination and communications. The CKO is thus a crucial change agent of the organization, mirroring knowledge and its results to potential users, and ensuring right knowledge is available in a timely manner to the potential beneficiaries. This overall, ensures improved organizational outcomes and organizational safety. Adaptability refers to the ability of individuals or firms to modify behaviour to suit the changed circumstance. Adaptability implies ability to learn new things (gain knowledge or learn new skills - behaviours). Adaptability of organizations makes them gain knowledge, keep an open mind, ensure constant improvement, and this contributes to the firm's success, survival and growth. Adaptability is a offshoot of KMS. CKOs, in reality, ensure more adaptable organizations. CKOs have a tricky role. 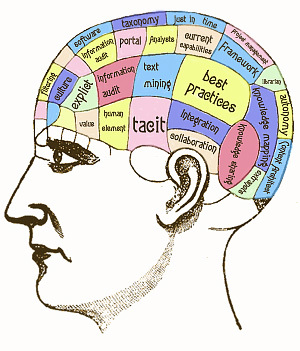 They are internal marketers of knowledge inputs. A departmental head may be perfectly happy with the way things are going on in his area of responsibility, hence he may or may not be open to new suggestions or new knowledge. After all, new ways and new knowledge always come with an element of risk. CKOs are the ones who through their networking and communication skills impart the message of confidence, and help in absorption of knowledge to enhance departmental and finally organizational outcomes. Knowledge provides ideas and creates visions for individuals, departments, groups and finally the firm itself. KMS make a major difference. KMS creates adaptability and KMS is responsible to drive change - rather than succumbing to the change coming from outside. KMS represents an attitude of INTERNAL LOCUS OF CONTROL of an organization, rather than having an EXTERNAL LOCUS OF CONTROL, where the outer forces are responsible for change and knowledge. KMS (either officially or unofficially) is responsible for market leadership. Toyota is well known to make great cars, their way of doing work is a subject of many great case studies. However, at the root of Toyota's success, lies an avaricious organizational appetite for knowledge! Knowledge comes through an intense zeal to measure. In turn, knowledge influences practices of organizations, creates adaptability and rewards the firm with market leadership. KMS is intangible. But it creates tangible outputs. KMS, learning, training ... these are inter-related activities. These intangibles are powerful in influencing tangible results. There was a seller led economy. You had to have a production unit for the service or product, it would sell, because of the innate demand for services or products. However, the situation in most markets is now more mature. A seller mentality will not function, marketing is required, and at another level, KMS is vital. No wonder it is emphasised that these are the days of KNOWLEDGE ECONOMY. The development of new media: to carry messages, information, insights, ideas and knowledge seamlessly, at real time and instantly has created a new and renewed emphasis on KMS of organizations. Thanks for reading this blogpost, please scroll down, read all other posts, please click on older posts as and when required, and kindly recommend this blog to other netizens.